Think of it as Red Friday: just another trick to drive us into more debt. Q: Why is something like Black Friday so powerful? Q: Is it a bad thing to take part in Black Friday? Q: What can we do to resist? Simonne: “If you feel yourself getting sucked in, think about it as Red Friday. A day piled high with debt. Imagine the clever marketing people who get paid to trick you into spending more than you meant to. We’re being manipulated by them to spend money to enhance our lifestyle, even though most of us have more than we need. Don’t be one of the ones fooled by this trick. Q: Why is personal spending so difficult to control for some of us? Q: Do we all have an emotional relationship with money? Q: Where does this relationship with money begin? Q: OK, so how can we resist spending, particularly given that Black Friday, Cyber Monday, Christmas and January Sales are all looming? Simonne: “Let me stress again if you can afford it, you enjoy it and you really want or need those new shoes or that new computer, that’s fine. Go for it. Decide what else could you do instead of shopping this Friday. Turn the electronics off. Do something you really love. Treat yourself in a wholesome way by meeting friends, doing exercise, enjoying a brilliant film. Work out how many hours you had to work to buy something. Is that TV really worth a whole three weeks of hard graft? Rather than saying you can’t take advantage of a sale, set an affordable limit before you search for the bargains. Make that your anchor. Reframing your thoughts can be really powerful. 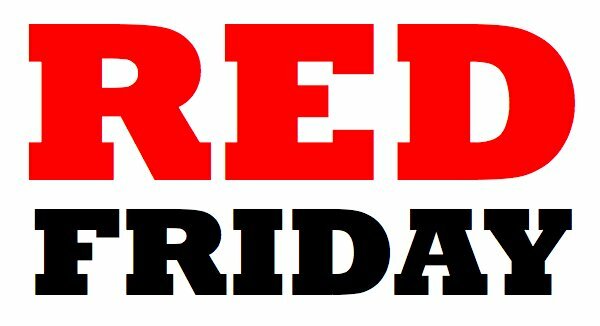 So as we’ve said, think of it as ‘Red Friday’ not ‘Black Friday’. You have a ‘Debt Card’, not a ‘Credit Card’. If you’re shopping on the High Street, use cash instead of a card. It’s much harder to part with real money. Connect with a goal in your life instead. Write yourself an affirming statement that can sit in your purse or wallet and serve as a reminder of what’s important. Find out more about Do Money - Do Something Different's behaviour change programme that I had a small part in creating - designed to help you change your money habits.